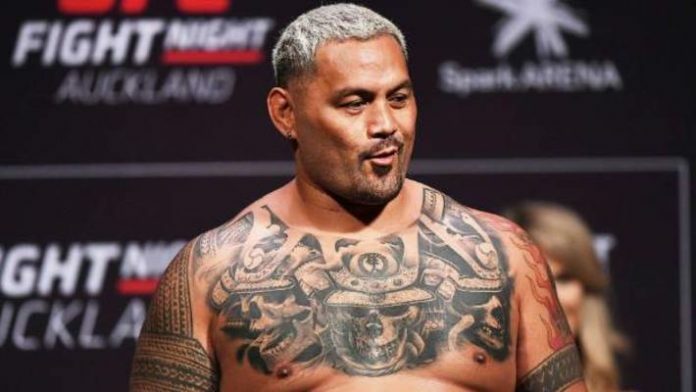 Mark Hunt plans on finishing Aleksei Oleinik today (Sept. 15). Hunt and Oleinik will go one-on-one inside Olimpiyskiy Stadium in Moscow, Russia. It’ll headline UFC Moscow, set to air live on UFC Fight Pass. Hunt is looking to rebound from his loss to Curtis Blaydes earlier this year. Meanwhile, Oleinik is in search of his second straight victory. The “Super Samoan” has gone 1-2, 1 NC in his last four outings. The 44-year-old must get on a hot streak quickly if he’s to get back in title contention. Hunt’s last win was back in June 2017. After going on an 11-fight winning streak, Oleinik fell short against Daniel Omielanczuk via majority decision. Wins over Viktor Pesta and Travis Browne followed, but he hit a snag against Curtis Bladyes. Oleinik got back in the win column with a submission finish over Junior Albini. Who is your last-minute pick, Mark Hunt or Aleksei Oleinik?